We serve lunch at THE GRILL at both THE GRILL and THE POOL. You may be seated in either THE GRILL or THE POOL. The menus are the same during lunch service. You may make a request to be seated in either room, however, we cannot guarantee seating in a specific room. THE GRILL is a mid-century American Chophouse created by Mario Carbone, Jeff Zalaznick and Rich Torrisi. 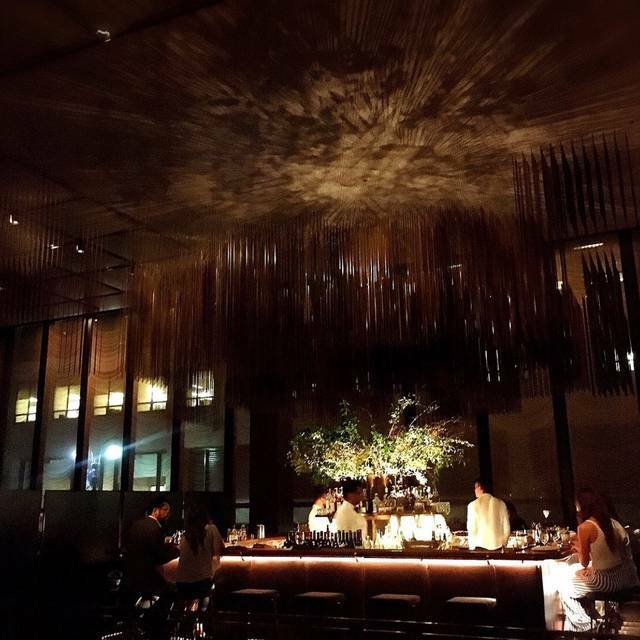 ​It is housed in the only landmarked restaurant in New York inside the iconic Seagram Building and takes great inspiration from it's surroundings. As it's name implies, the grill is meaningful to the restaurants style, service and food. 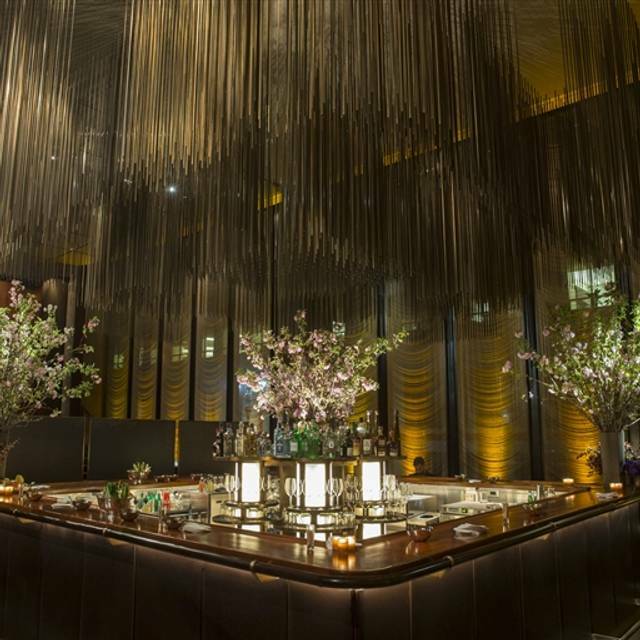 Major Food Group takes great pride in celebrating the tradition of great food and great fun in one of the world's greatest restaurant spaces. Lunch Served from 11:45 A.M. to 2 P.M.
Nice venue. I’ve eaten here many times for lunch. I’ve never walked out thinking that I enjoyed the meal (except the blue crab gumbo). I think the servers at lunchtime wish the 3 martini lunch would come back. People don’t really drink at lunch nowadays. Hence, the tips are lower and the servers less attentive. 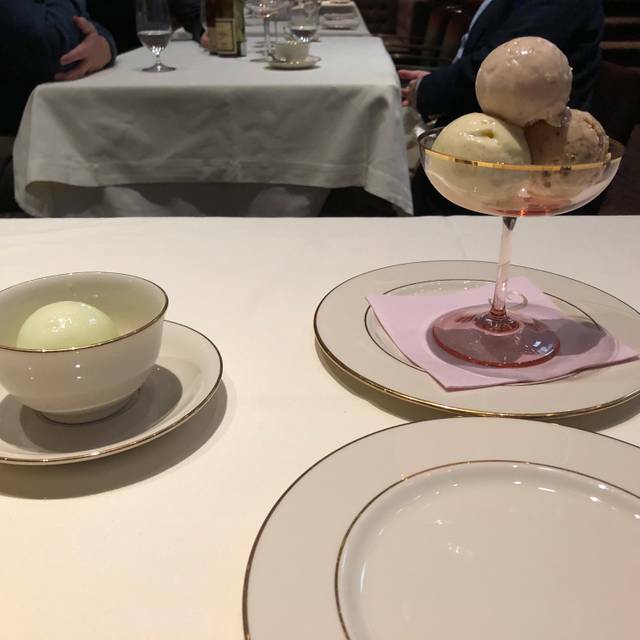 Delicious but not creative food, accompanied by on point service in a historic and iconic room. An experience not to be missed. Few choises on the meny ! Sallad with grab was fantastic! Like the bread! Recommended to order rib...was nice and tender meet, but far to big and the ribs were served by side ....and nothing by side i.e potatoes and/or veggies..? The service and ambience is very good, but both of our steaks were over salted. Lovely place, I made reservations for 6 and they were able to sit 8 of us even tho I was 30 minutes late. I think that’s fantastic & exceptional as most restaurants would never do that. I’ll be back again and again!!! I have been wanting to come to The Grill for a while and finally was able to get reservations. 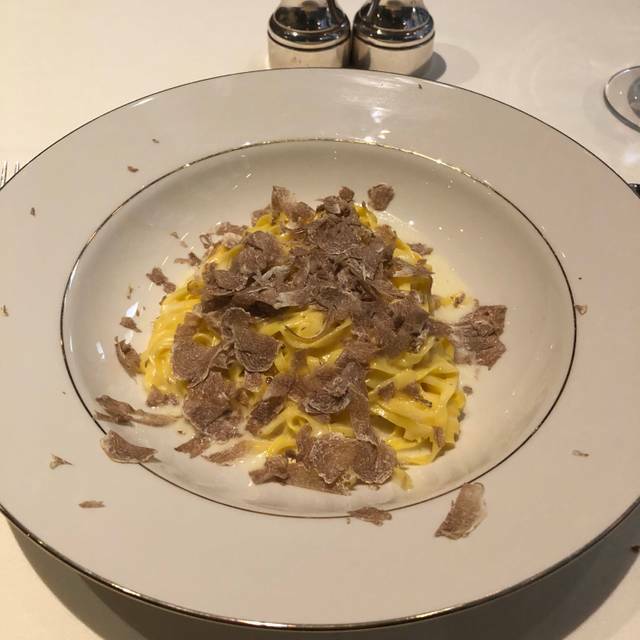 I dine out a lot at many fine restaurants, but honestly this experience was one of the best experience I have ever had. From the greeters at the entrance, to the server at the bar, who I wish I could remember her name and give her a shout out. The ambiance was exactly what I hoped for. The restaurant was overflowing with people, but we never felt squished or uncomfortable. The space is gorgeous. Volkan was our server at the table, and we LOVE him. He made the phenomenal dinner even better. The sommelier was also incredible in helping us choose our selection. Every single person who works there did there job, and well. Really were no flaws, and that is hard to do. Wow! Bravo to you! Wonderful fine dining experience. My wife and I were traveling to NYC for a short vacation seeing a play and doing the usual tourist stuff. We asked a friend for restaurant recommendations and he suggested The Grill. Great serene ambiance in the Pool portion of the restaurant, great service and great food. Expensive but worth it. The butter lettuce, avocado and crab louie salad was amazing; hands down best salad I've ever had. Ambiance was perfect and service was superb. Wait staff was told that we had to get to a show and leave by 6:30 p.m. so they 100% accommodated our expedited schedule without making us feel rushed. The wine list for this restaurant is extremely comprehensive. Several main menu items weren’t available. Disappointing. 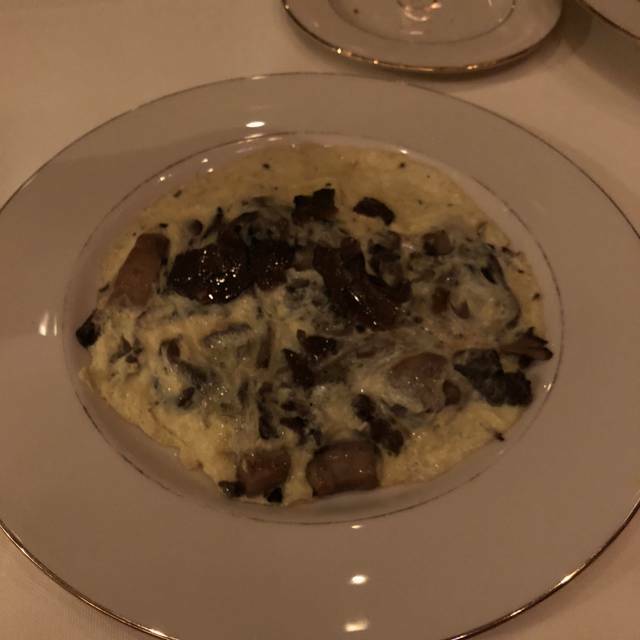 Excellent service and excellent food. Could not fault one aspect of the experience and all the staff were so welcoming and professional. Would no doubt dine here again if I returned to New York. Loved it, everything was up to par. Restaurant is pricey but worth every dollar. 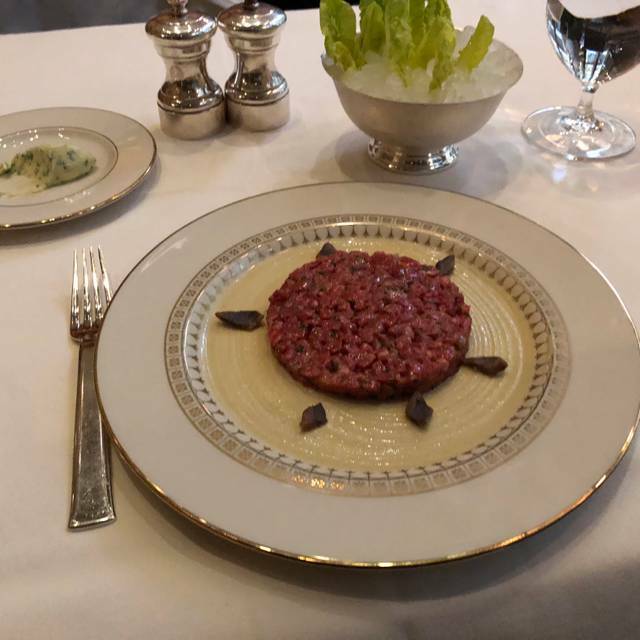 Every single dish is incredible and the filet mignon is possibly the best I’ve had in all of manhattan! My first time visiting since the change in ownership. I really liked it & thought the service & food was top notch. We had business guest from London & they thoroughly enjoyed the lunch meeting. I've eaten here many times. Love the place. My only complaint is the mark-ups on the wine list. I'm on the mailing list of many of the wines on the list(Harlan, Colgin, Bryant and Shafer).....most of these had 4-5X mark-up. A bit steep, even for NY. Friendly, impeccable service. Lovely space/ambience. 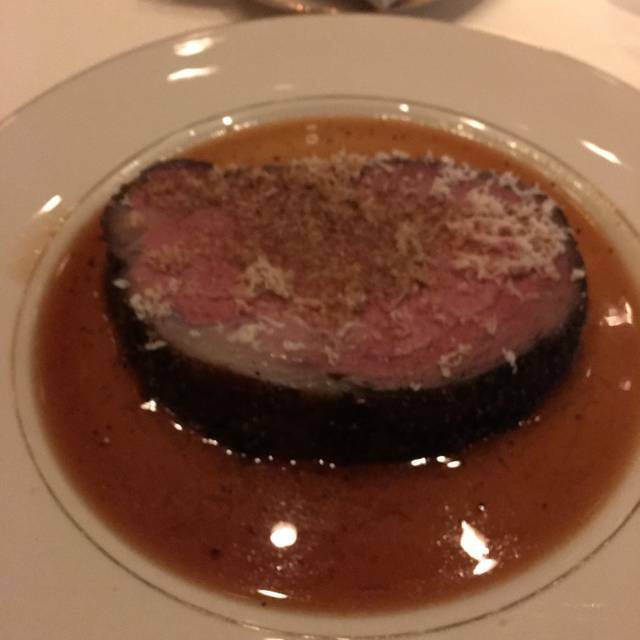 Food was excellent - very nicely presented, very tasty/complex/flavorful, large portions. Value on food is good, but certain beverages were (arguably) overly expensive. Sill, really a great experience - would be happy to go again. Best dining experience in a long time. Maybe even ever. Great food prepared simply so that the full flavors of it shine. Had the half bronzino and it was an ample serving for one person. Fish was perfectly cooked and the drizzle of salsa verde was just the right touch to amplify the full flavor of the fish. Started with the Tuna Ravigote which was amazing. The placement of the tuna on the very small cucumber rounds accentuated the taste. Finished with the lemon chiffon cake which was rich and delicious. Oh, and the rice pilaf was excellent. Different than any pilaf I have ever had but it was delicious. And one of the best Boulevardiers - cocktail was expertly prepared and highlighted the entire meal. Excellent venue. We arrived early waited a least half hour for our reservation. Place was busy. Food is outrageous. Service is good. Ambience is good. I thoroughly enjoyed my dessert. It’s always a good experience overall at The Grill. It was so enjoyable and the service was outstanding. I can't wait to introduce more people to this establishment. The ambiance was great, the food was very good. I just wish the service had been a little better. I felt like we had to flag a waiter down to come to our table too many times. The food, the decor and the service were perfect! I took the sea bass and it was delicious! Just wonderful!!!!! This is the place where you want to come back!! Thank you for your professionalism. Impossibly loud music piped in over the chatter coming from the bar makes for a very uncomfortable experience. Wait staff was condescending - maybe because we were three “mature” women. Raw oysters were less than tasty but rest of meal - chateaubriand with sides-were well flavored. Sommelier helped select excellent bottle of wine. What an iconic restaurant. A throwback to another time, where elegance reigned. 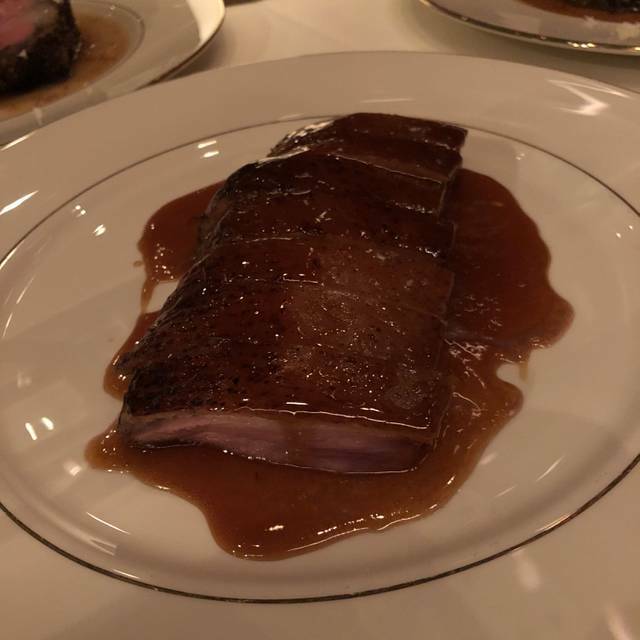 Fabulous food, power crowd, it is still and will always be a landmark in New York. We went for a special occasion and the entire experience was excellent. 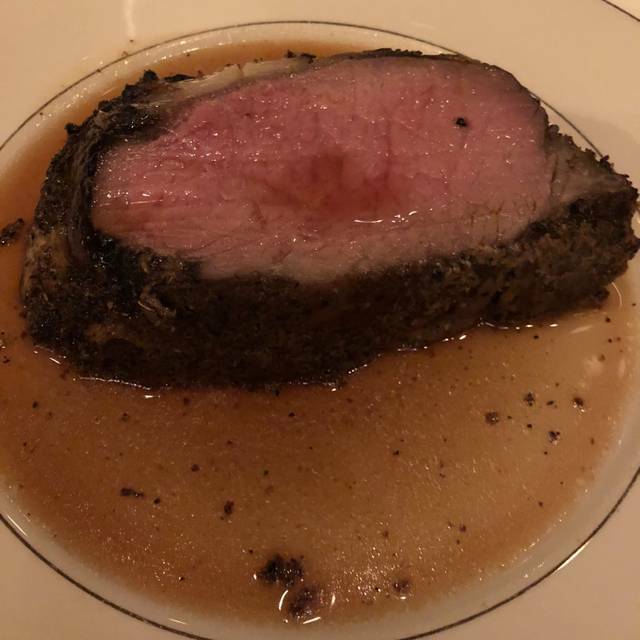 The prime rib is perhaps the finest I have ever had. The crab louis salad is an excellent starter to share.